Crowns, also known as caps, are used to restore damaged teeth to a functioning level by protecting them from further damage. Crowns caps may protect a cracked or excessively decayed tooth. They serve to restore a tooths strength, size, shape, and overall appearance. In the past, most crowns were made of metal materials, making them very obvious in a persons mouth. Now, Dr. Gilbert can fit your tooth with a natural-looking porcelain crown. Porcelain crowns are aesthetically pleasing. They match the color of your teeth and are very natural looking. 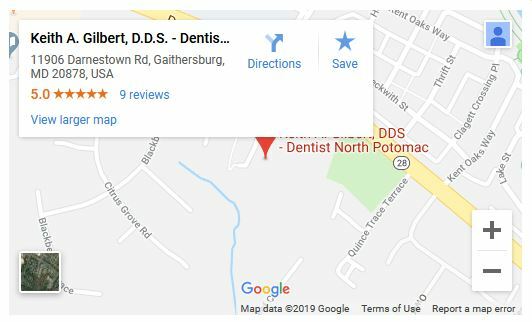 Dr. Gilbert will fit your tooth with such an accurate match that most people will never know that they are not looking at your original tooth. Porcelain-fused-to-metal are strong and durable crowns. All-porcelain crowns are thinner and are great for areas of the mouth that do not require as much use. How Long Does it Take to Get a Porcelain Crown? Getting a crown usually requires two appointments in Dr. Gilberts office. He will first take impressions, or molds, of the tooth that is to be covered by the crown. You will be fitted with a temporary crown between visits while your new crown is being constructed in a laboratory. All decay will be removed from the affected tooth and it will be accurately shaped to fit the new crown. During the second appointment, your tooth will be cleaned and fitted with the new crown. Porcelain crowns can last anywhere from five to fifteen years. With proper care, they may last indefinitely. Proper care involves regular checkups and dental exams, as well as keeping the crown clean and free of plaque with good oral hygiene habits.